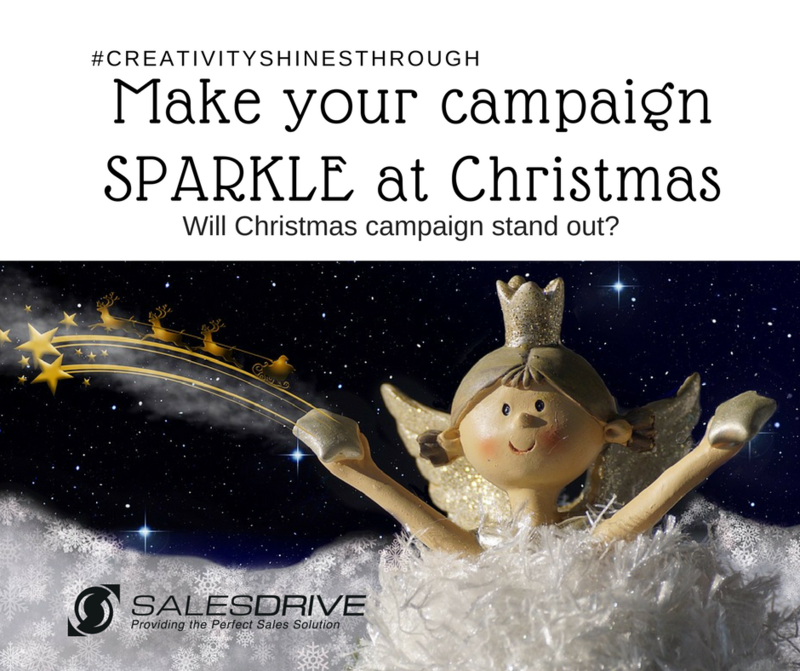 Making your campaign sparkle at Christmas! With four out of five adults owning a smart phone, an incredible 37 million people in the UK, it’s no wonder that online platforms are becoming one of the most powerful tools to utilise in your sales and marketing repertoire and a valuable aid to engage and sell through, with proven benefits when used in line with a direct sales approach. In 2016 over £133 billion online retail sales were recorded in the UK, a 16% jump from 2015 and 54% of online sales occurred via mobiles in December. As technology supersedes the traditional shopping facilities, companies are fast using social media and online platforms to generate interest and drive customers to purchase on their websites. Sales Drive UK believe that all companies, not just retailers can benefit from an improved online presence. From video campaigns to Christmas themed adverts; online platforms are being injected with creativity that can be accessed and viewed instantly. New customers are now seeing, through personal social media channels, targeted advertising messages based on their interests and search history. Through visual and content creativity, companies are targeting and remarketing to customers daily, through channels they utilise personally and professionally. By injecting creativity into their campaigns, they were able to define target audiences, utilise channels their customers frequented regularly, and offer campaigns in a language and format that was engaging and understandable. Using storytelling, invitations to create customised packaging and hashtag participation in return for free gifts; digital campaigns have offered companies the opportunity to be more inspirational and engaging by utlising the simplest of concepts. Happy customers make a Merry Christmas for companies! As digital technology evolves, revolutionising how companies communicate with internal and external audiences, the question isn’t when to utilise online channels but how to utilise them. Technology has become a powerful tool that companies use to drive sales and generate immediate interest; creating opportunity to expand, thrive and succeed in a highly competitive market! The online challenge is to maintain engagement with content that is captivating, sparks curiosity and offers creativity simply yet effectively. The Sales/Marketing challenge is to ensure you are using all the tools at your disposal to compliment each other and create the best sale campaign for your business. Are you meeting these sales challenges? Give Sales Drive a shout, as we have the tools and the knowledge to ensure your digital campaigns pack a powerful, punch!